We are absolutely confident that our GMC dash kits will perfectly fit into your car interior. Single out the kit you`d like to add to your car design from wood grain, real wood, camouflage, aluminum & carbon fiber dash trim kits for GMC. Place an order and we will deliver it to your place very soon. Chevrolet Tahoe/Suburban 2007, 2008, 2009, 2010, 2011, 2012, 2013, 2014/Chevrolet Avalanche/Silverado LTZ 2007-2013, GMC Yukon/Yukon XL/Yukon Denali 2007-2013, 2014/GMC Sierra SLT 2007-2013, Full Interior Kit, Without OEM Wood, 89 Pcs. Chevrolet Silverado 1500/GMC Sierra 1500 2014, 2015, 2016, 2017, 2018, With Front Bench Seats, Full Interior Kit, 85 Pcs. Chevrolet Avalanche/Silverado/Suburban/Tahoe 2003, 2004, 2005, 2006, GMC Sierra/Yukon, With Front Bucket Seats, Without Heated Seats, Without Power Pedals, Full Interior Kit, With Door Panels, 53 Pcs. Chevrolet Avalanche/Silverado/Suburban/Tahoe 2003, 2004, 2005, 2006, GMC Sierra/Yukon, With Front Bucket Seats, With Heated Seats, Full Interior Kit, With Door Panels, 52 Pcs. Chevrolet Silverado 1500/GMC Sierra 1500 2014, 2015, 2016, 2017, 2018, With Front Bucket Seats, Full Interior Kit, 85 Pcs. Chevrolet Avalanche/Silverado/Suburban/Tahoe 2003, 2004, 2005, 2006, GMC Sierra/Yukon 2003-2006, With Front Bucket Seats, Without Heated Seats, With Power Pedals, Full Interior Kit, With Door Panels, 54 Pcs. Chevrolet Silverado 2003, 2004, 2005, 2006, GMC Sierra 2003, 2004, 2005, 2006, With Front Bucket Seats, Without Heated Seats, Full Interior Kit, With Door Panels, 52 Pcs. Chevrolet Silverado 2003, 2004, 2005, 2006, GMC Sierra 2003, 2004, 2005, 2006, With Front Bucket Seats, With Heated Seats, Full Interior Kit, With Door Panels, 50 Pcs. 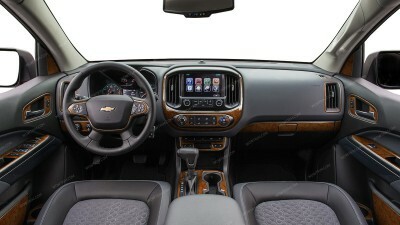 Chevrolet Silverado WT,LT/GMC Sierra WT,SLE 2007, 2008, 2009, 2010, 2011, 2012, 2013, Full Interior Kit, 65 Pcs. Chevrole Tahoe/Avalanche/Suburban 2000, 2001, 2002, GMC Sierra 1999-2002 / Yukon 2000-2002, With Front Bucket Seats, With Heated Seats, Full Interior Kit, With Door Panels 37 Pcs. Chevrole Tahoe/Avalanche/Suburban 2000, 2001, 2002, GMC Sierra 1999-2002 / Yukon 2000-2002, With Front Bucket Seats, Without Heated Seats, Full Interior Kit, With Door Panels 33 Pcs. Chevrolet Silverado 2003, 2004, 2005, 2006, GMC Sierra 2003-2006, With Front Bucket Seats, Full Interior Kit, Without Door Panels, 52 Pcs. Chevrole Tahoe/Avalanche/Suburban 2000, 2001, 2002, GMC Sierra 1999-2002 / Yukon 2000-2002, With Front Bench Seats, With Heated Seats, Full Interior Kit, With Door Panels 33 Pcs. Chevrole Tahoe/Avalanche/Suburban 2000, 2001, 2002, GMC Sierra 1999-2002 / Yukon 2000-2002, With Front Bench Seats, Without Heated Seats, Full Interior Kit, With Door Panels 29 Pcs. Chevrolet Avalanche/Silverado/Suburban/Tahoe 2003, 2004, 2005, 2006, GMC Sierra/Yukon 2003-2006, With Front Bench Seat, Without Power Pedals, Full Interior Kit, With Door Panels, 35 Pcs. Chevrolet Avalanche/Silverado/Suburban/Tahoe 2003, 2004, 2005, 2006, GMC Sierra/Yukon 2003-2006, With Front Bench Seat, With Power Pedals, Full Interior Kit, With Door Panels, 36 Pcs. Chevrolet Silverado 1999, 2000, 2001, 2002, GMC Sierra 1999, 2000, 2001, 2002, With Front Bucket Seats, Without Heated Seats, Full Interior Kit, With Door Panels, 32 Pcs., . Chevrolet Silverado 1999, 2000, 2001, 2002, GMC Sierra 1999, 2000, 2001, 2002, With Front Bucket Seats, With Heated Seats, Full Interior Kit, With Door Panels, 34 Pcs., . Chevrolet Silverado 2003, 2004, 2005, 2006, GMC Sierra 2003, 2004, 2005, 2006, With Front Bench Seat, Full Interior Kit, With Door Panels, 38 Pcs. Chevrolet Avalanche/Silverado/Suburban/Tahoe 2003, 2004, 2005, 2006, GMC Sierra/Yukon 2003-2006, With Front Bucket Seats, Full Interior Kit, Without Door Panels, 53 Pcs. Chevrolet Silverado 1999, 2000, 2001, 2002, GMC Sierra 1999-2002, With Front Bench Seats, With Heated Seats, Full Interior Kit, With Door Panels, 31 Pcs., . Chevrolet Silverado 1999, 2000, 2001, 2002, GMC Sierra 1999-2002, With Front Bench Seats, Without Heated Seats, Full Interior Kit, With Door Panels,29 Pcs., . Chevrolet Silverado 1999, 2000, 2001, 2002, GMC Sierra 1999-2002, Full Interior Kit, With Door Panels, 25 Pcs. Chevrolet Silverado 1500/GMC Sierra 1500 2014, 2015, 2016, 2017, 2018, Basic Interior Kit, 63 Pcs. GMC Sierra Denali 2002, Full Interior Kit, OEM Match , 25 Pcs. Chevrolet Silverado 2003, 2004, 2005, 2006, GMC Sierra 2003, 2004, 2005, 2006, With Front Bench Seat, Full Interior Kit, With Door Panels, 32 Pcs. Chevrolet Silverado WT,LT/GMC Sierra WT,SLE 2007, 2008, 2009, 2010, 2011, 2012, 2013, Basic Interior Kit, 43 Pcs. Chevrolet Silverado 2003, 2004, 2005, 2006, GMC Sierra 2003, 2004, 2005, 2006, With Front Bench Seat, Full Interior Kit, Without Door Panels, 36 Pcs. Chevrolet Silverado 1999, 2000, 2001, 2002, GMC Sierra 1999, 2000, 2001, 2002, With Front Bucket Seats, Full Interior Kit, Without Door Panels, 32 Pcs., . Chevrolet Silverado / GMC Sierra 1995, 1996, 1997, 1998, Chevrolet Tahoe 1995, 1996, 1997, 1998, 1999, Full Interior Kit, 24 Pcs. Chevrolet Silverado 1999, 2000, 2001, 2002, GMC Sierra 1999-2002, With Front Bench Seats, Full Interior Kit, Without Door Panels, 29 Pcs., . GMC Sierra Denali 2003, 2004, 2005, 2006, Basic Interior Kit, 27 Pcs., OEM Match. Chevrolet Tahoe/Suburban 2007, 2008, 2009, 2010, 2011, 2012, 2013, 2014/Chevrolet Avalanche/Silverado LTZ 2007-2013, GMC Yukon/Yukon XL/Yukon Denali 2007-2013, 2014/GMC Sierra SLT 2007-2013, Basic Interior Kit, Without OEM Wood, 38 Pcs. Chevrole Tahoe/Avalanche/Suburban 2000, 2001, 2002, GMC Sierra 1999-2002 / Yukon 2000-2002, With Front Bucket Seats, Full Interior Kit, Without Door Panels 31 Pcs. Chevrolet Avalanche/Silverado/Suburban/Tahoe 2003, 2004, 2005, 2006, GMC Sierra/Yukon 2003-2006, With Front Bench Seat, Full Interior Kit, Without Door Panels, 32 Pcs. Chevrole Tahoe/Avalanche/Suburban 2000, 2001, 2002, GMC Sierra 1999-2002 / Yukon 2000-2002, With Front Bench Seats, Full Interior Kit, Without Door Panels 27 Pcs. Chevrolet Silverado/Suburban/Tahoe 1995, 1996, 1997, 1998, GMC Sierra/Yukon 1995, 1996, 1997, 1998, 1999, Basic Interior Kit, 2 & 4 Door, 30 Pcs. Chevrolet Silverado 1999, 2000, 2001, 2002, GMC Sierra 1999, 2000, 2001, 2002, Full Interior Kit, Without Door Panels, 23 Pcs. Chevrolet Silverado 2003, 2004, 2005, 2006, GMC Sierra 2003, 2004, 2005, 2006, With Front Bench Seat, Full Interior Kit, Without Door Panels, 30 Pcs. Chevrolet Silverado Crew Cab 1500/GMC Sierra Crew Cab 1500 2014, 2015, 2016, 2017, 2018, Exterior Kit, Full Interior Kit, 16 Pcs. Chevrolet Silverado WT,LT/GMC Sierra WT, SLE 2007, 2008, 2009, 2010, 2011, 2012, 2013, Interior Dash Kit, Optional Center Cupholder Console With Front Bucket Seats, 9 Pcs. Chevrolet Avalanche/Silverado/Tahoe 2003, 2004, 2005, 2006, GMC Sierra/Yukon 2003, 2004, 2005, 2006, Basic Interior Kit, 22 Pcs. Chevrole Tahoe/Avalanche/Suburban 2000, 2001, 2002, GMC Sierra 1999-2002 / Yukon 2000-2002, Basic Interior Kit, 19 Pcs. Chevrolet Silverado Crew Cab 1500/GMC Sierra Crew Cab 1500 2014, 2015, 2016, 2017, 2018, Basic Exterior Kit, 4 Pcs. Chevrolet Silverado WT/GMC Sierra WT 2007, 2008, 2009, 2010, 2011, 2012, 2013, Interior Kit, Optional Center Cupholder Console With Front Bench Seat For WT Models, 1 Pcs. Chevrolet Silverado/GMC Sierra 2007, 2008, 2009, 2010, 2011, 2012, 2013, Exterior Kit, 17 Pcs. Chevrolet Silverado Crew Cab 1500/GMC Sierra Crew Cab 1500 2014, 2015, 2016, 2017, 2018, Stainless Steel Pillar Posts, 4 Pcs. Chevrolet Silverado WT,LT/GMC Sierra WT, SLE 2007, 2008, 2009, 2010, 2011, 2012, 2013, Interior Kit, Optional Rear Center Console With Front Bench Seat (Extended/Crew Cab), 4 Pcs. Chevrolet Suburban/Tahoe 1995, 1996, 1997, 1998, 1999, GMC Sierra 1995, 1996, 1997, 1998, GMC Yukon 1995-1999, Optional Overhead Console Interior Kit, 10 Pcs. Chevrolet Tahoe/Suburban 2007, 2008, 2009, 2010, 2011, 2012, 2013, 2014/Chevrolet Avalanche/Silverado LTZ 2007-2013, GMC Yukon/Yukon XL/Yukon Denali 2007-2014/GMC Sierra SLT 2007-2013, Interior Kit, Optional Rear Overhead With Entertainment System, 6 Pcs. Chevrolet Tahoe/Suburban 2007, 2008, 2009, 2010, 2011, 2012, 2013, 2014/Chevrolet Avalanche/Silverado LTZ 2007-2013, GMC Yukon/Yukon XL/Yukon Denali 2007-2013, 2014/GMC Sierra SLT 2007-2013, Interior Kit, Optional Radio/Climate Control Trim, 1 Pcs. Chevrolet Silverado /GMC Sierra 1995, 1996, 1997, 1998, Chevrolet Suburban/Tahoe 1995-1999, GMC Yukon 1995-1999, Interior Kit, Speedometer Cluster, 1 Pcs. Chevrolet Silverado/Suburban / GMC Sierra 1995, 1996, 1997, 1998, Chevrolet Tahoe / GMC Yukon 1995-1999, Interior Kit, Bench Seat Console Accent, 2 Pcs. Chevrolet Silverado LT/GMC Sierra SLE 2007, 2008, 2009, 2010, 2011, 2012, 2013, Interior Kit, Optional Center Cupholder Console With Front Bench Seat For Non-WT Models, 2 Pcs. Chevrolet Silverado WT,LT/GMC Sierra WT, SLE 2007, 2008, 2009, 2010, 2011, 2012, 2013, Interior Kit, Optional Rear Center Console W/o Rear Audio System(Extended/Crew Cab With Front Bucket Seats), 7 Pcs. Chevrolet Silverado WT/GMC Sierra WT 2007, 2008, 2009, 2010, 2011, 2012, 2013, Interior Kit, Optional Speedometer Cluster For WT Models, 6 Pcs. Chevrolet Silverado / GMC Sierra 1995, 1996, 1997, 1998, Chevrolet Suburban/Tahoe / GMC Yukon 1995-1999, Interior Kit, Bucket Seats Console Accent, 3 Pcs. Chevrolet Silverado WT,LT/GMC Sierra WT, SLE 2007, 2008, 2009, 2010, 2011, 2012, 2013, Interior Kit, Optional Rear Center Console With Rear Audio System(Extended/Crew Cab With Front Bucket Seats), 9 Pcs. Chevrolet Silverado LT/GMC Sierra SLE 2007, 2008, 2009, 2010, 2011, 2012, 2013, Interior Kit, Optional Speedometer Cluster For Non-WT Models, 6 Pcs. Chevrolet Silverado/Tahoe 2000, 2001, 2002, GMC Yukon 2000-2002, Chevrolet Silverado 1999-2002, Chevrolet Avalanche 2002, Interior Kit, With Front Bucket Seats, Rear Cup Holder, 1 Pcs. Chevrolet Avalanche/Suburban/Tahoe 2000, 2001, 2002, 2003, 2004, 2005, 2006, Chevrolet Silverado 2003-2006, GMC Sierra Denali/Sierra/Yukon 2003-2006, GMC Yukon Denali 1999-2006, Interior Kit, Overhead Air Vents, 6 Pcs. Chevrolet Silverado 1500/GMC Sierra 1500 2014, 2015, 2016, 2017, 2018, Interior Kit, Optional Fuel Door, 1 Pcs. Chevrolet Tahoe / GMC Yukon 1995, 1996, 1997, 1998, 1999, Full Interior Kit, 4 Door, 33 Pcs. GMC Yukon Denali 1999-2000, Full Interior Kit, OEM Match , 48 Pcs. GMC Yukon Denali 2003, 2004, 2005, 2006, Full Interior Kit, 28 Pcs., OEM Match. GMC Yukon Denali 2001-2002, Full Interior Kit, OEM Match , 25 Pcs. GMC Yukon Denali 2003, 2004, 2005, 2006, Basic Interior Kit, 24 Pcs., OEM Match. Chevrolet Express/GMC Savana 2008, 2009, 2010, 2011, 2012, 2013, 2014, 2015, Full Interior Kit, 44 Pcs. Chevrolet Express/GMC Savana 2008, 2009, 2010, 2011, 2012, 2013, 2014, 2015, Basic Interior Kit, 32 Pcs. Chevrolet Express 2003, 2004, 2005, 2006, 2007, GMC Savana 2003-2007, Interior Kit, 32 Pcs. Chevrolet Express/GMC Savana 2003, 2004, 2005, 2006, 2007, 2008, 2009, 2010, 2011, 2012, 2013, 2014, 2015, Exterior Kit, 12 Pcs. Chevrolet Blazer 1998, 1999, 2000, 2001, 2002, 2003, 2004, 2005/Chevrolet S10,GMC Sonoma 1998-2004/GMC Jimmy 1998-2001, 2/4 Door, With Overhead, Main Interior Kit, 25 Pcs. Chevrolet Blazer 1998, 1999, 2000, 2001, 2002, 2003, 2004, 2005/Chevrolet S10,GMC Sonoma 1998-2004/GMC Jimmy 1998-2001, 2/4 Door, Without Overhead, Main Interior Kit, 17 Pcs. GMC Acadia 2007, 2008, 2009, 2010, 2011, 2012, Without OEM, With Manual Climate Control, Full Interior Kit, 85 Pcs. GMC Acadia 2007, 2008, 2009, 2010, 2011, 2012, Without OEM, With Digital Climate Control, Full Interior Kit, 86 Pcs. GMC Acadia 2007, 2008, 2009, 2010, 2011, 2012, Without OEM, With Digital Climate Control, Basic Interior Kit, 45 Pcs. GMC Acadia 2007, 2008, 2009, 2010, 2011, 2012, Without OEM, With Manual Climate Control, Basic Interior Kit, 44 Pcs. GMC Acadia 2007, 2008, 2009, 2010, 2011, 2012, Interior Dash Kit, Optional Front Door Storage Trim, 6 Pcs. GMC Acadia 2007, 2008, 2009, 2010, 2011, 2012, Exterior Kit, Full Interior Kit, 17 Pcs. GMC Acadia 2007, 2008, 2009, 2010, 2011, 2012, Interior Dash Kit, Optional 3rd Row Armrest Cupholders, 4 Pcs. GMC Acadia 2007, 2008, 2009, 2010, 2011, 2012, Basic Exterior Kit, 6 Pcs. GMC Acadia 2007, 2008, 2009, 2010, 2011, 2012, 2013, 2014, 2015, Stainless Steel Pillar Posts, 4 Pcs. GMC Envoy 2006, 2007, 2008, 2009 / Isuzu Ascender 2006-2008, For Models Without OEM Wood, Addition To Main Interior Kit, 32 Pcs. GMC Envoy 2006, 2007, 2008, 2009 / Isuzu Ascender 2006, 2007, 2008, For Models Without OEM Wood, Main Interior Kit, 42 Pcs. GMC Envoy (Non-SLT) 2006, 2007, 2008, 2009, Exterior Kit, 6 Pcs. GMC Envoy SLT 2006, 2007, 2008, 2009, Exterior Kit, 6 Pcs. GMC Envoy (Non-SLT) 2006, 2007, 2008, 2009, Stainless Steel Pillar Posts, 4 Pcs. GMC Envoy / Saab 9-7X 2006, 2007, 2008, 2009 / Isuzu Ascender 2006-2008, Optional Front Overhead Console Interior Kit, 7 Pcs. GMC Envoy 2006, 2007, 2008, 2009, Exterior Kit, Optional Fuel Door Trim, 1 Pcs. GMC Terrain 2010, 2011, 2012, 2013, 2014, 2015, 2016, 2017, Full Interior Kit, 37 Pcs. GMC Terrain 2010, 2011, 2012, 2013, 2014, 2015, 2016, 2017, Basic Interior Kit, 31 Pcs. GMC Terrain 2010, 2011, 2012, 2013, 2014, 2015, 2016, 2017, Stainless Steel Pillar Posts, 6 Pcs. GMC Terrain 2010, 2011, 2012, 2013, 2014, 2015, 2016, 2017, Exterior Kit, 6 Pcs. GMC Terrain 2010, 2011, 2012, 2013, 2014, 2015, 2016, 2017, Exterior Kit, Optional Fuel Door, 1 Pcs.